We are once again being blessed by our Lady. 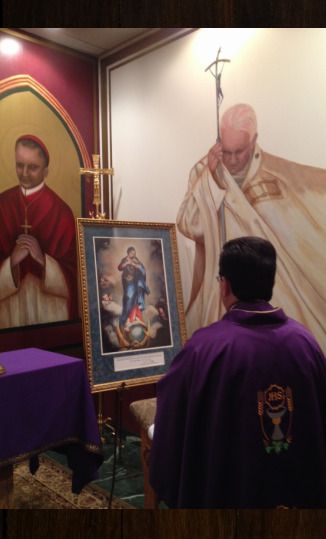 Today, March 9 her traveling picture, blessed by the Pope, arrived at our doorstep. She will grace us with her presence for a few weeks. You are all cordially invited to come and be with her and show her how much you love her.